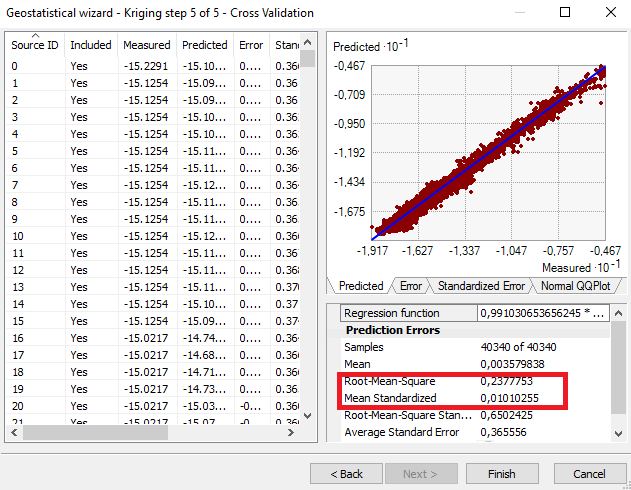 When interpolate a raster surface, using Spline with barriers it is possible to run cross validation for this method? I have a raster and i want to find the RMSE for IDW and Spline with barriers in order to compare them to see which works better. I used the Geostatistical Wizard to access the interpolation techniques: kriging and IDW. The exported results are illustrated in the figure. Can I export similar results for the Splines method? Browse other questions tagged arcgis-desktop arcgis-10.1 inverse-distance-weighted spline cross-validation or ask your own question.